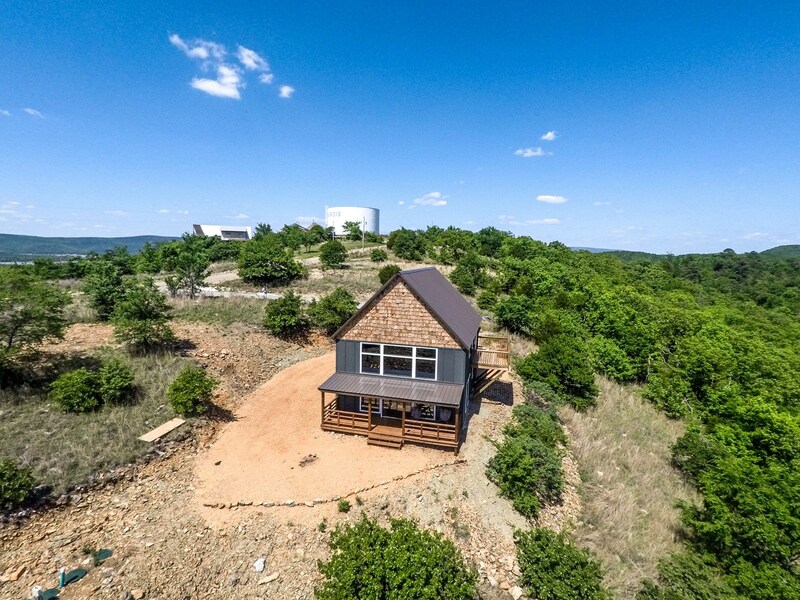 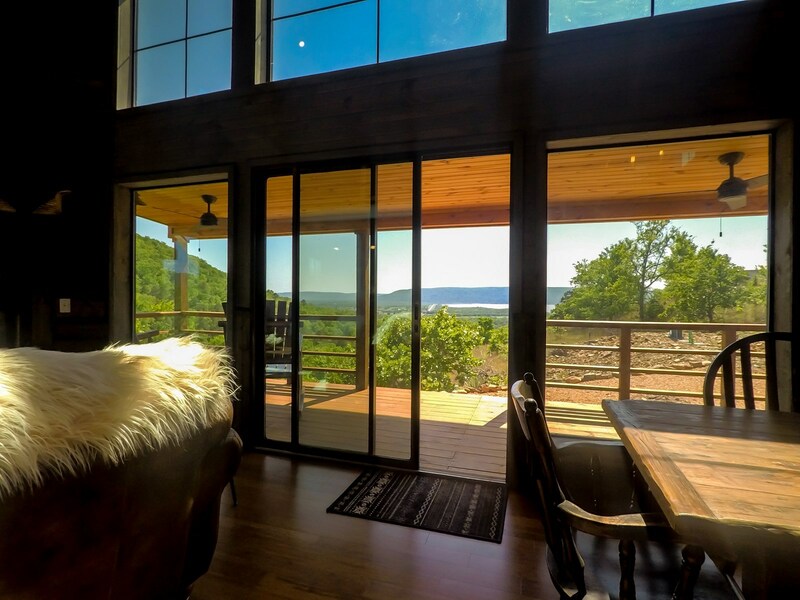 Mountain Modern Lake House For Sale in Clayton,OK; 2.31 acres on Sardis Lake in Pushmataha County in Southeast ,OK.Property is located at 161706 N 4337 Road Panorama Drive Sardis Acres Subdivision Clayton,OK 74536. 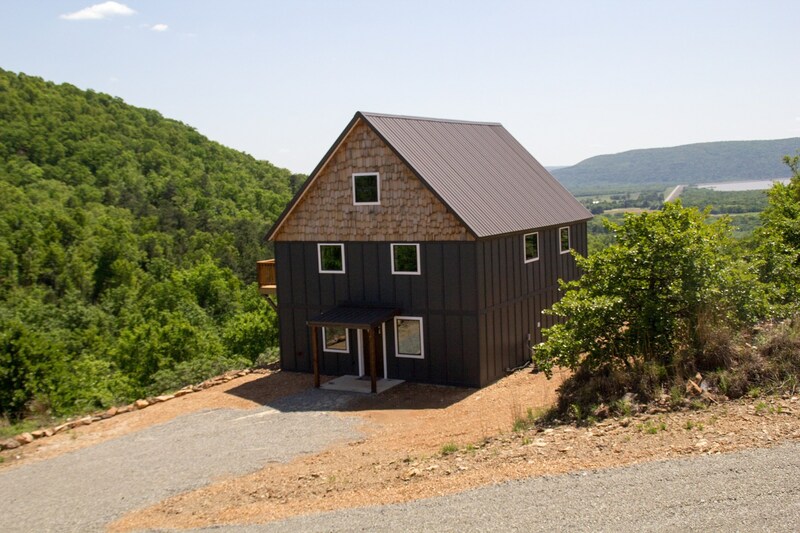 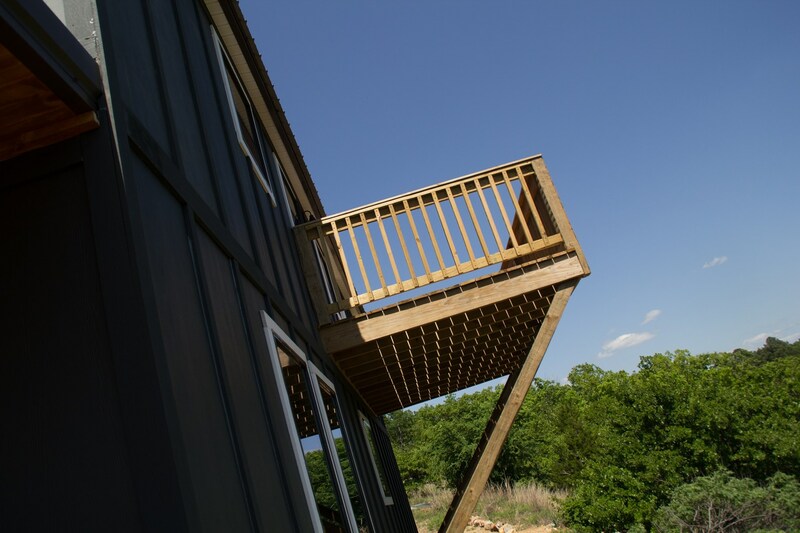 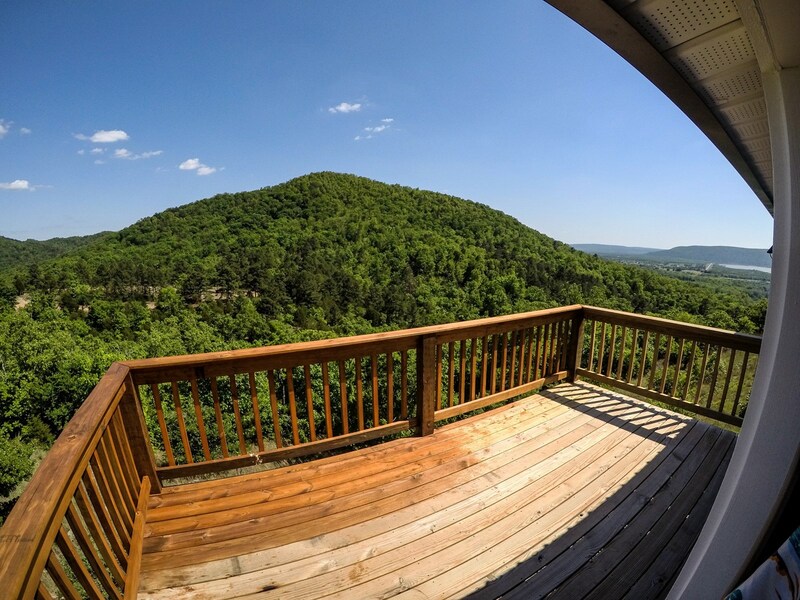 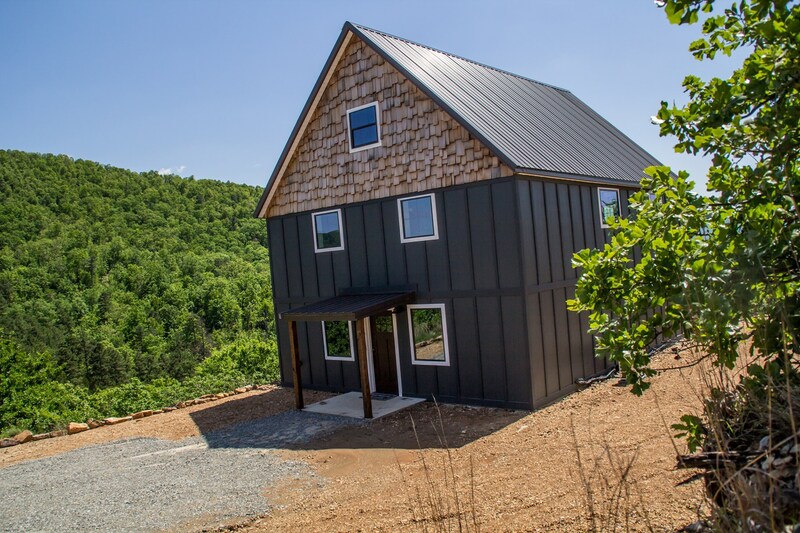 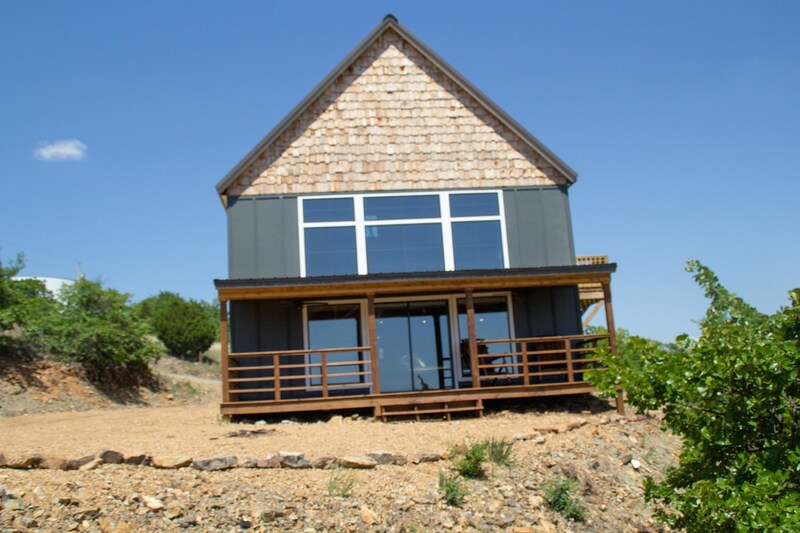 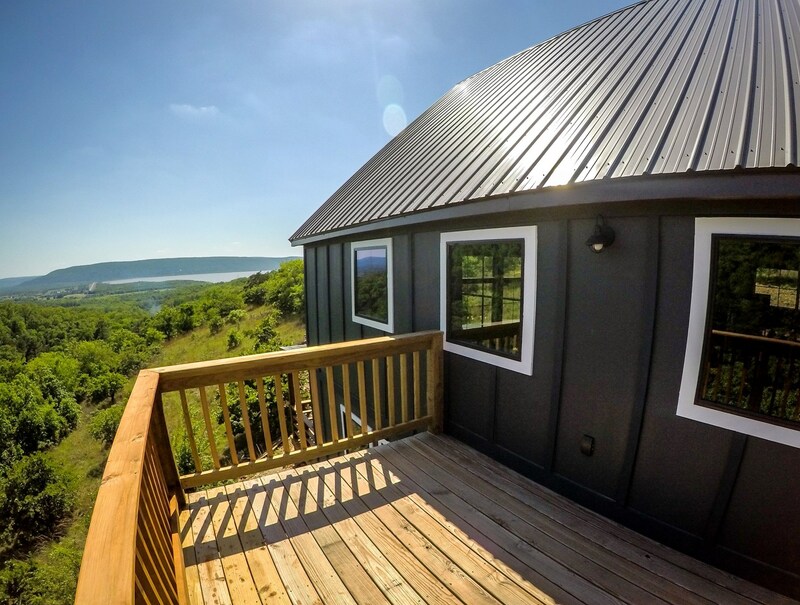 This Newly Built 3 Story Cabin Home was just finished in 2018, it has Amazing Mountain & Lake Sardis Panoramic view's for you to enjoy. 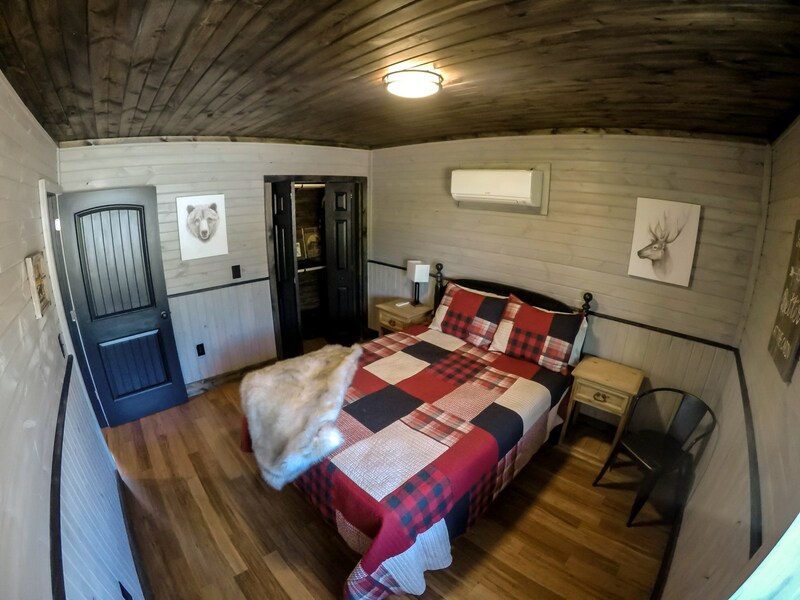 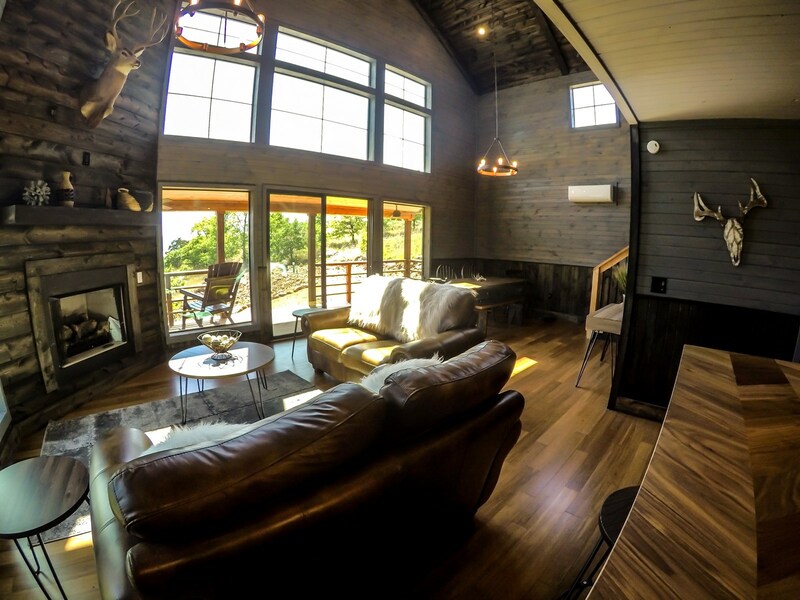 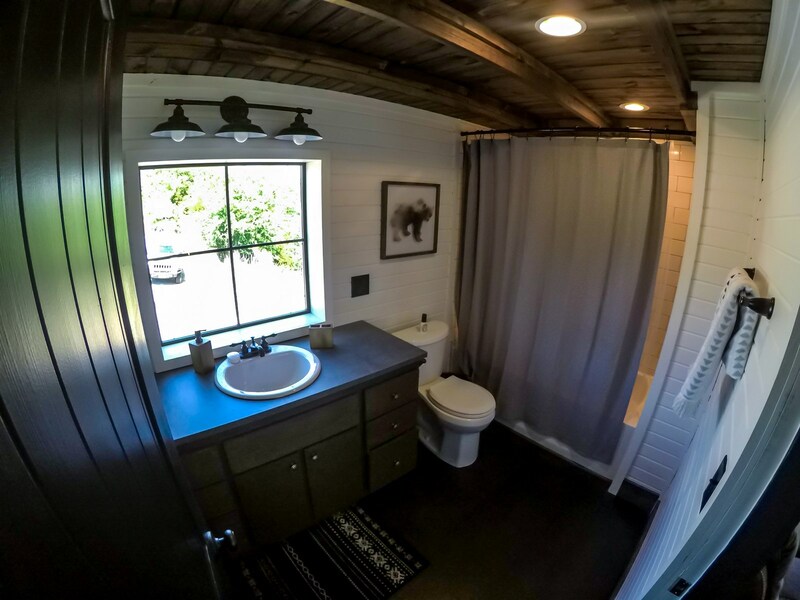 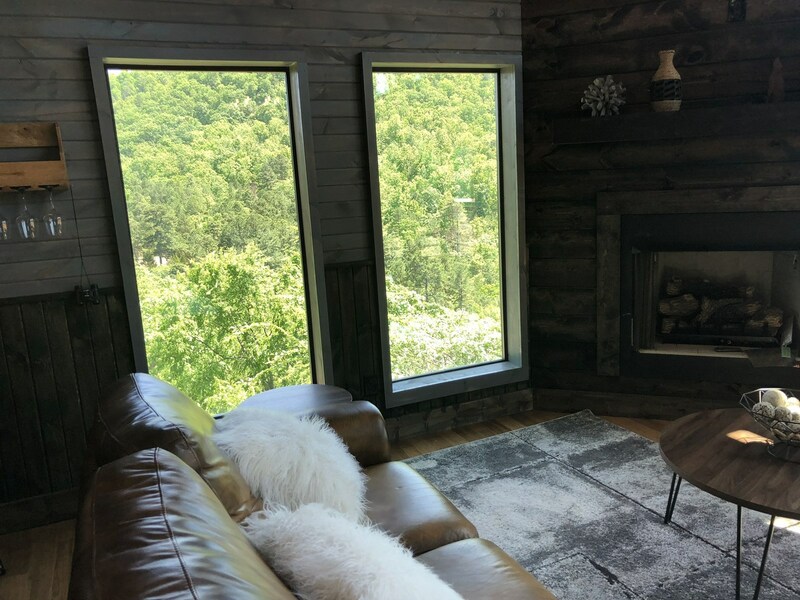 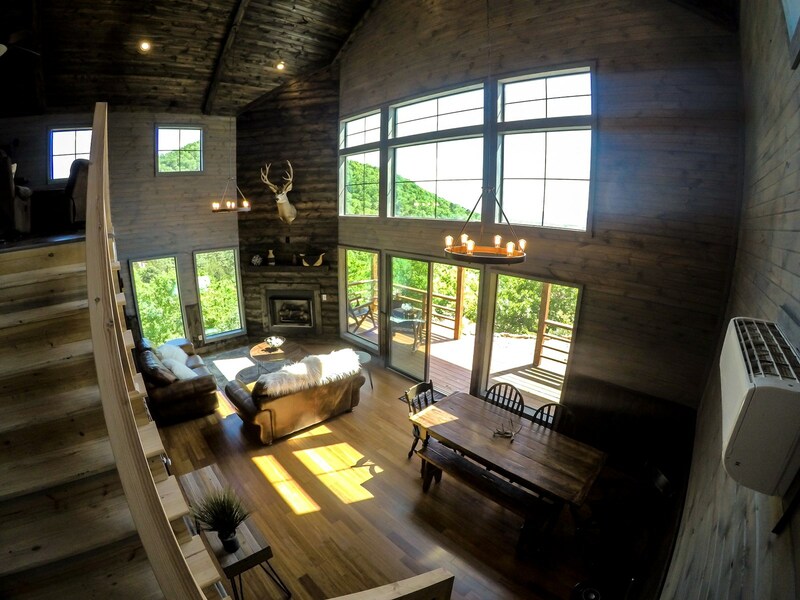 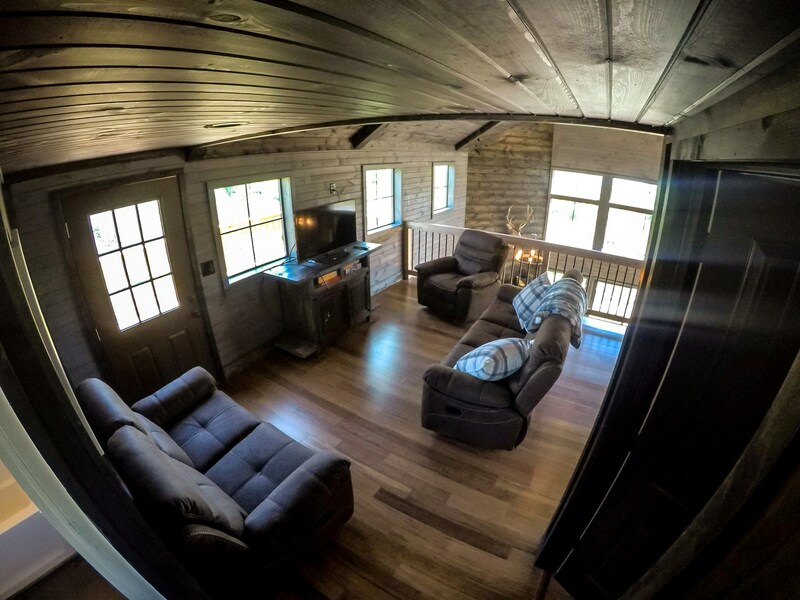 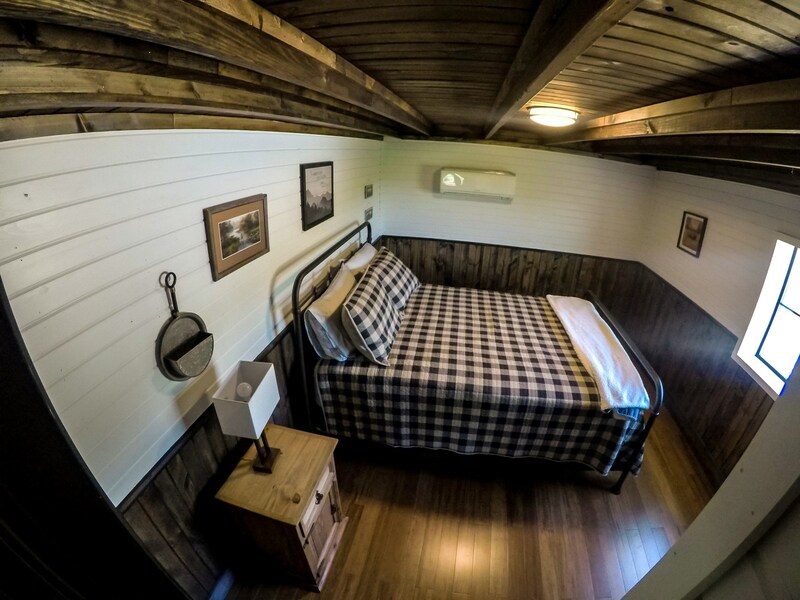 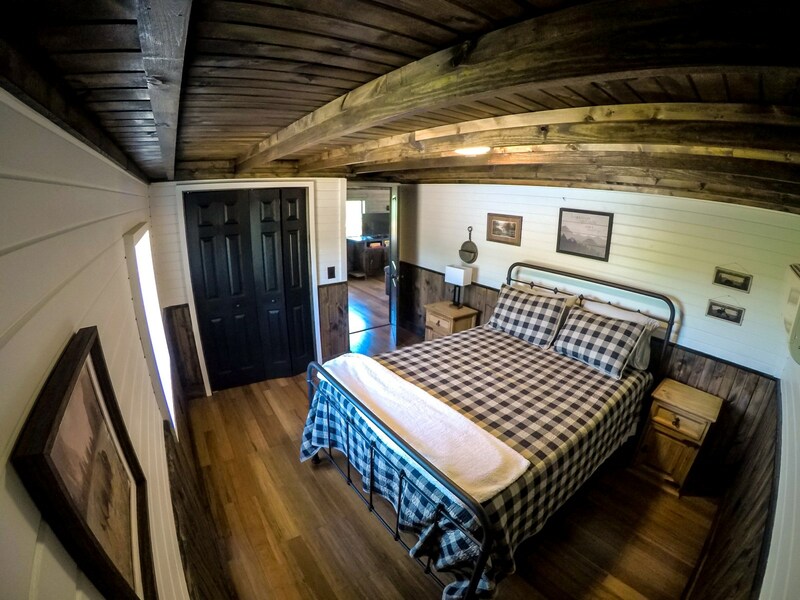 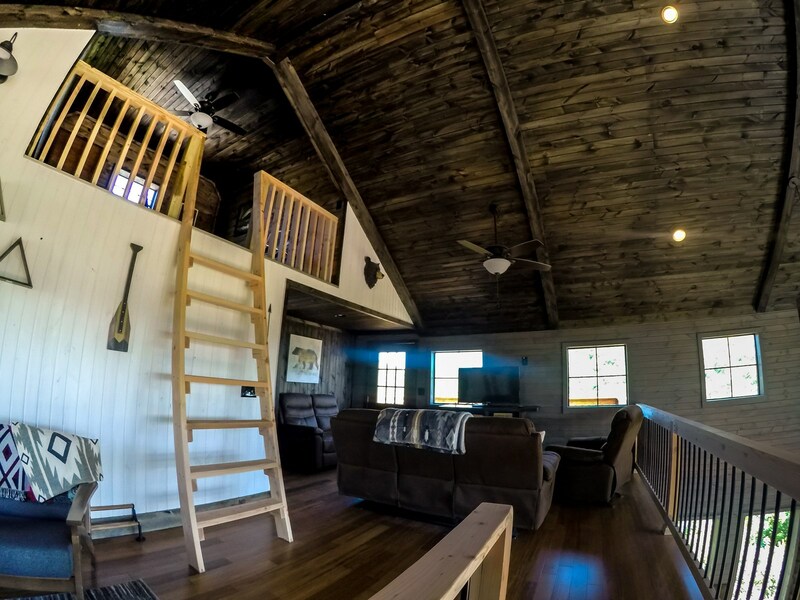 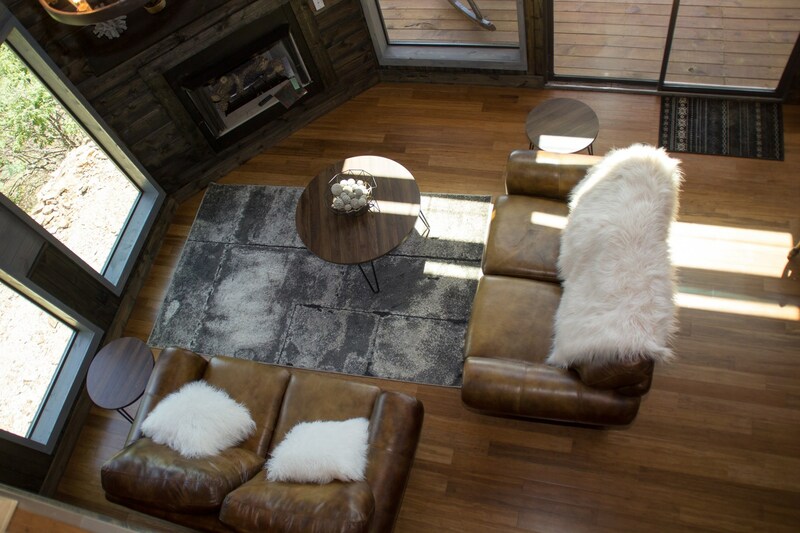 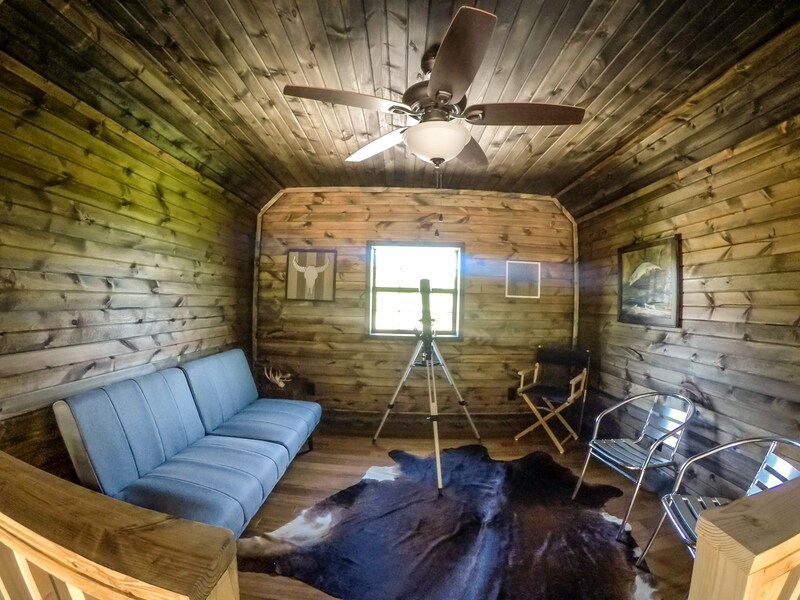 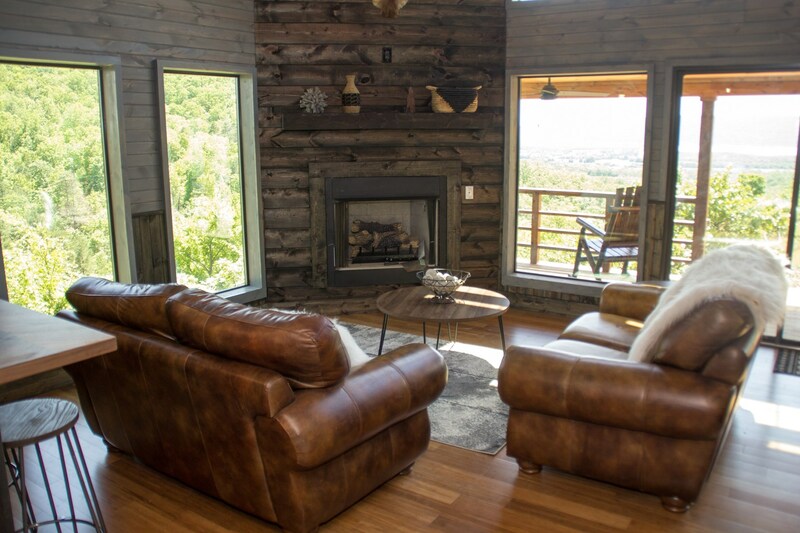 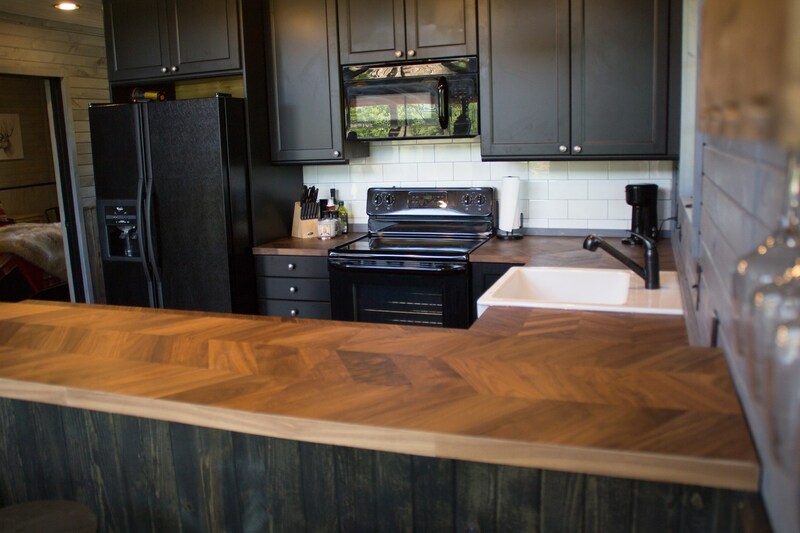 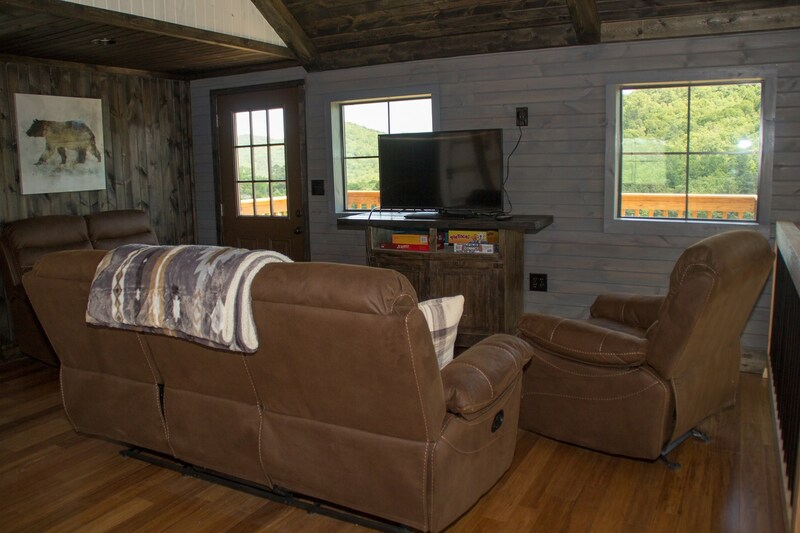 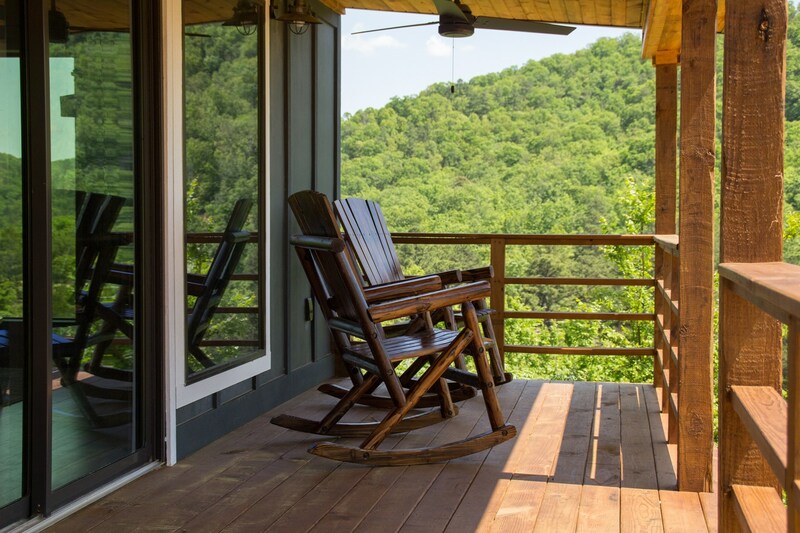 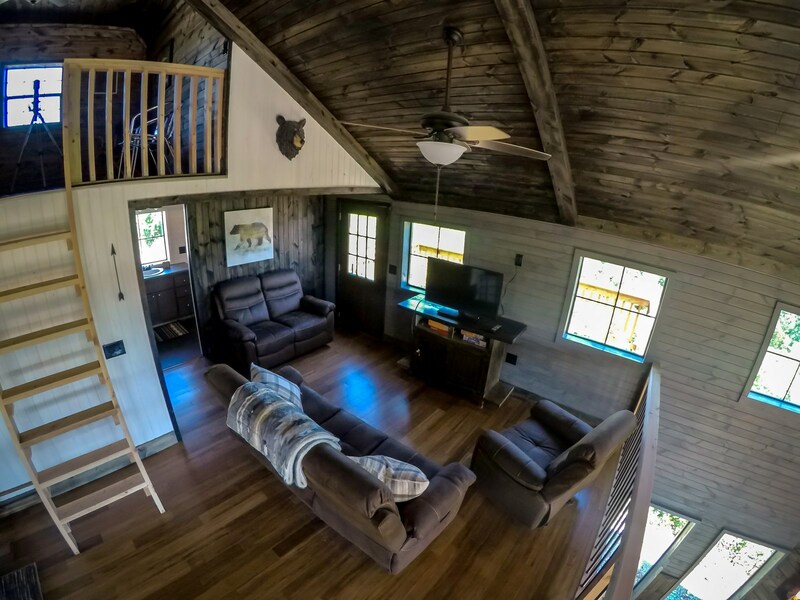 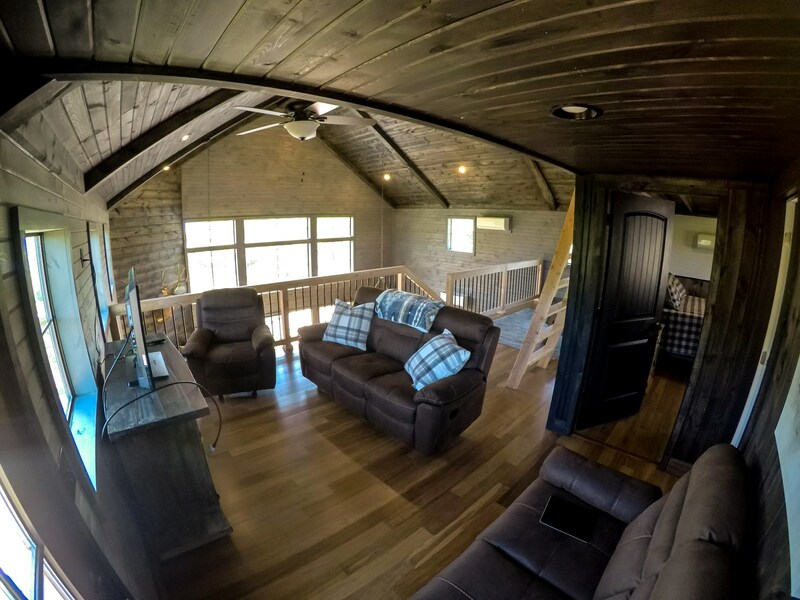 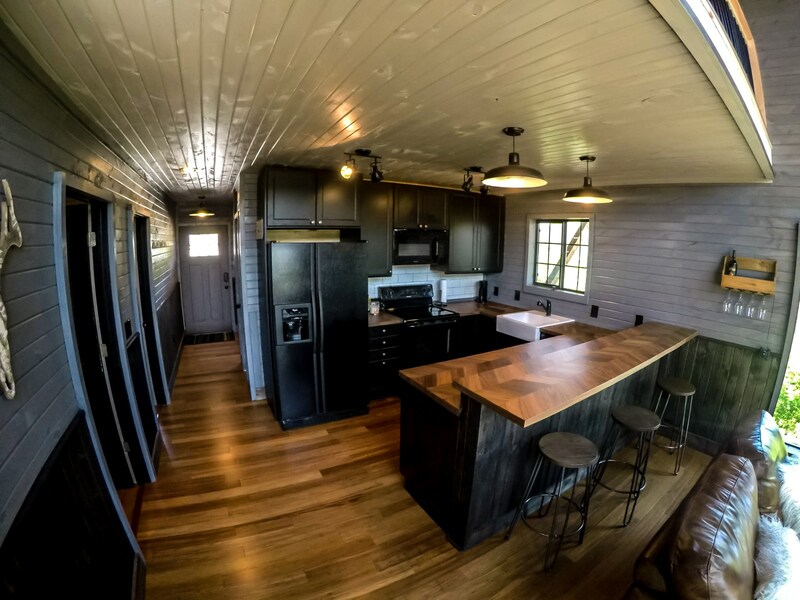 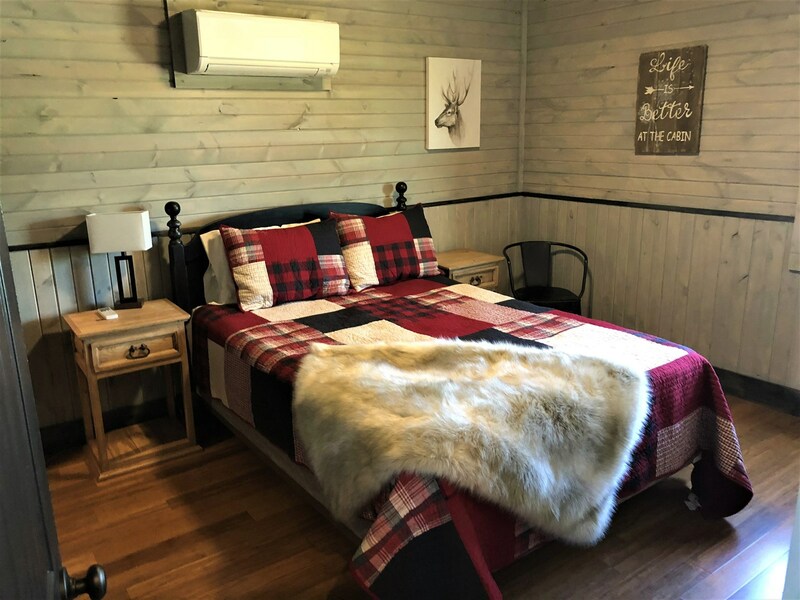 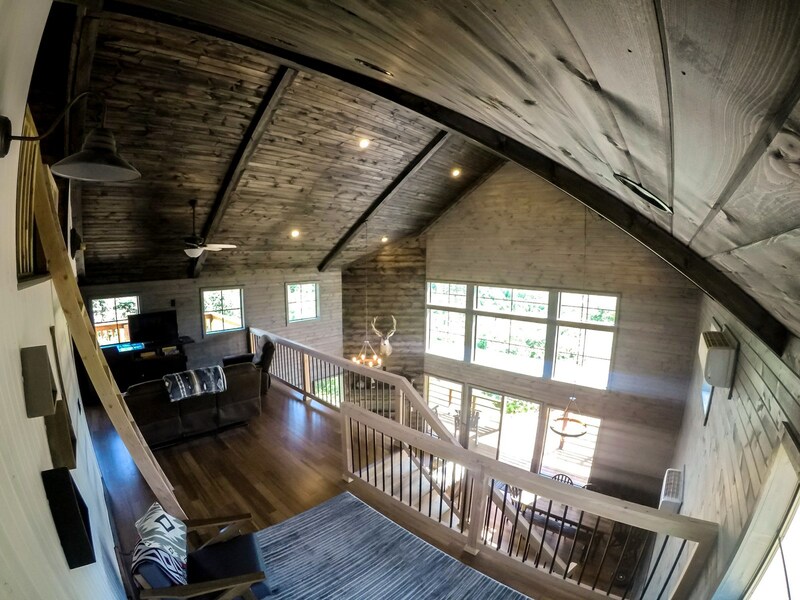 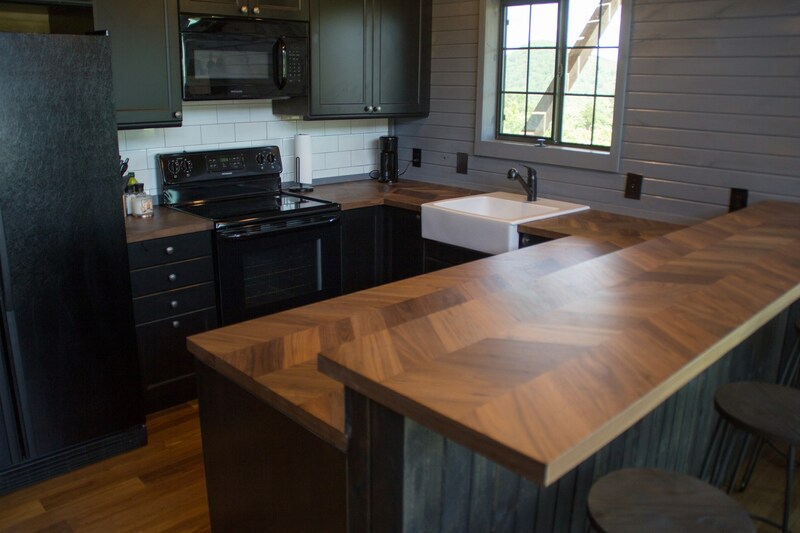 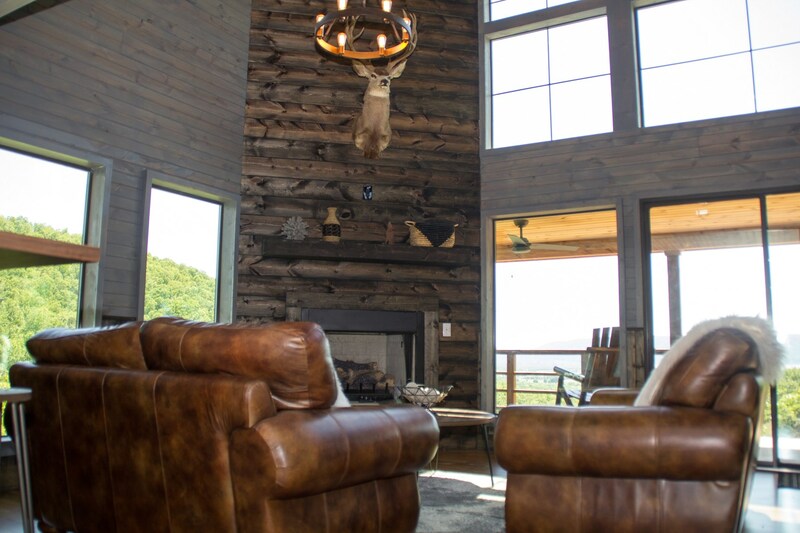 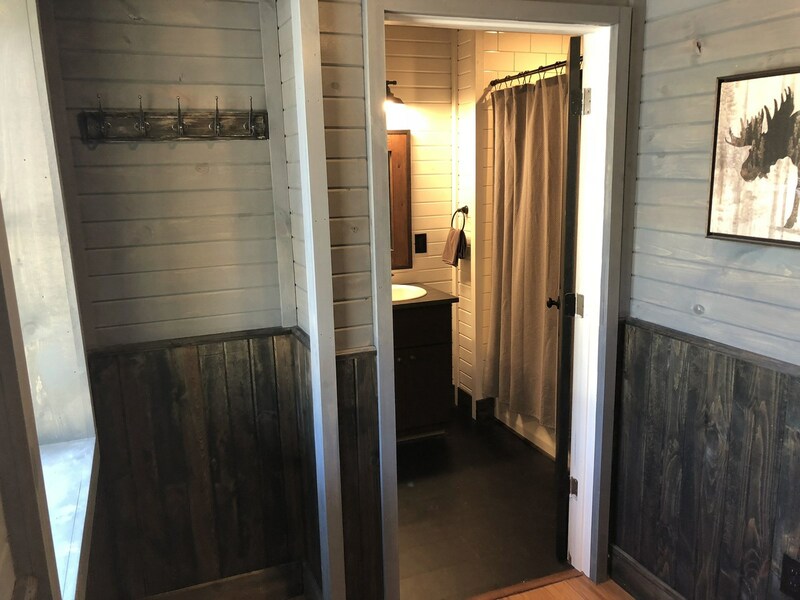 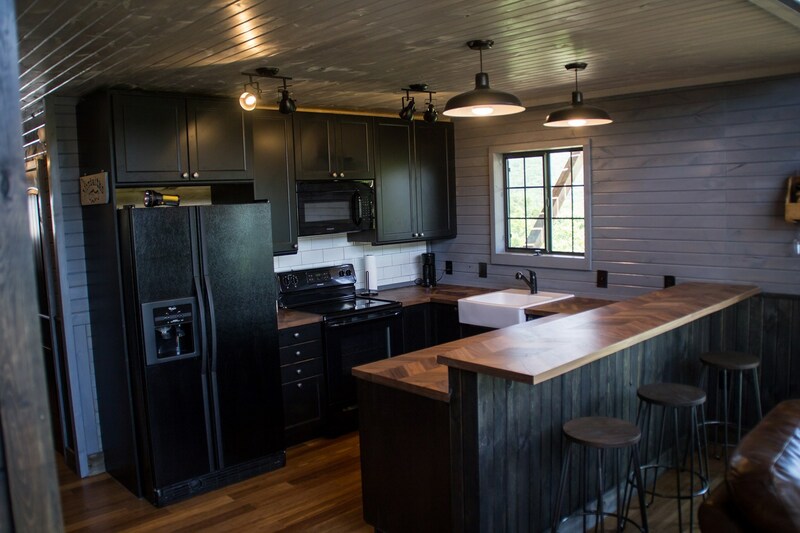 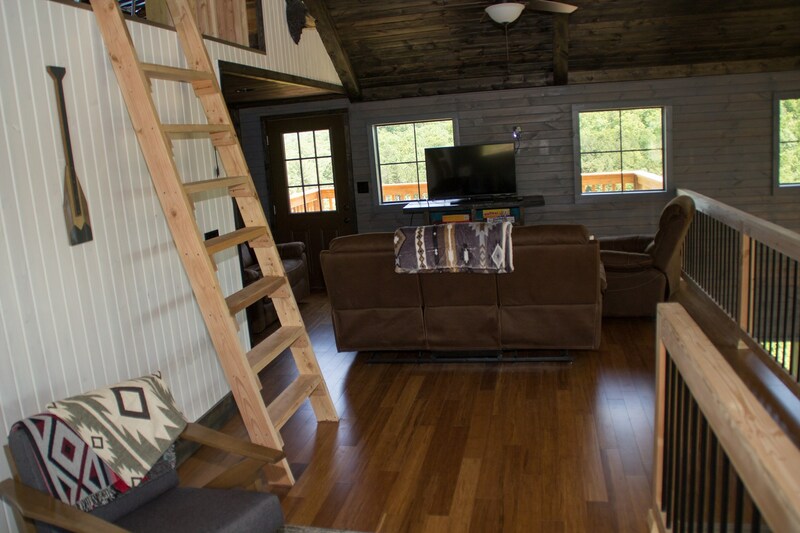 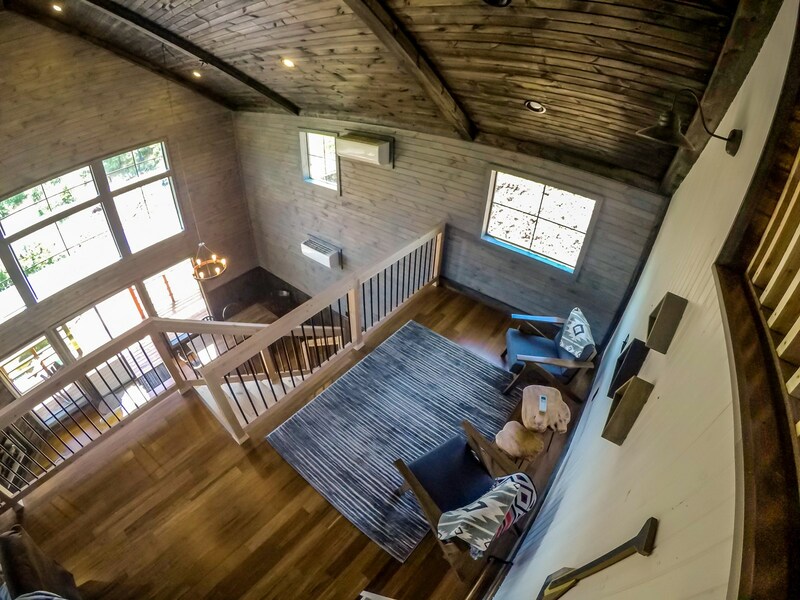 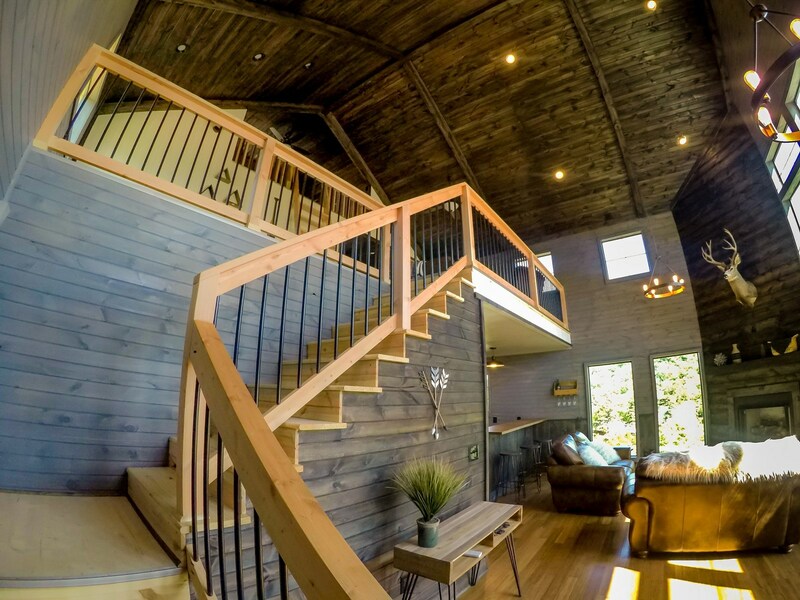 All furnishings stay it is Decorated in Modern Cabin Decor and ready for you to move right in our make it your Weekend Cabin Rental Investment Property. 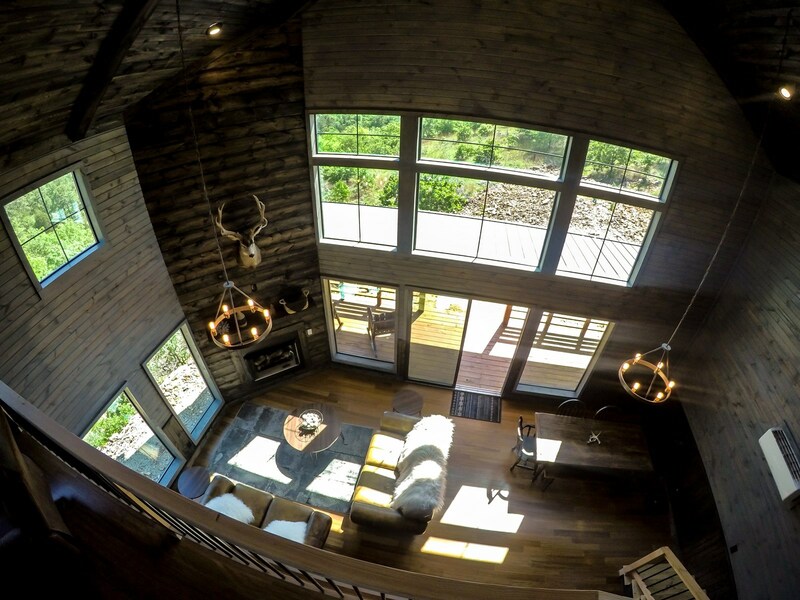 The highlighting features like the 3 story open concept living space and floor to ceiling gas fireplace to curl up by and enjoy the views. 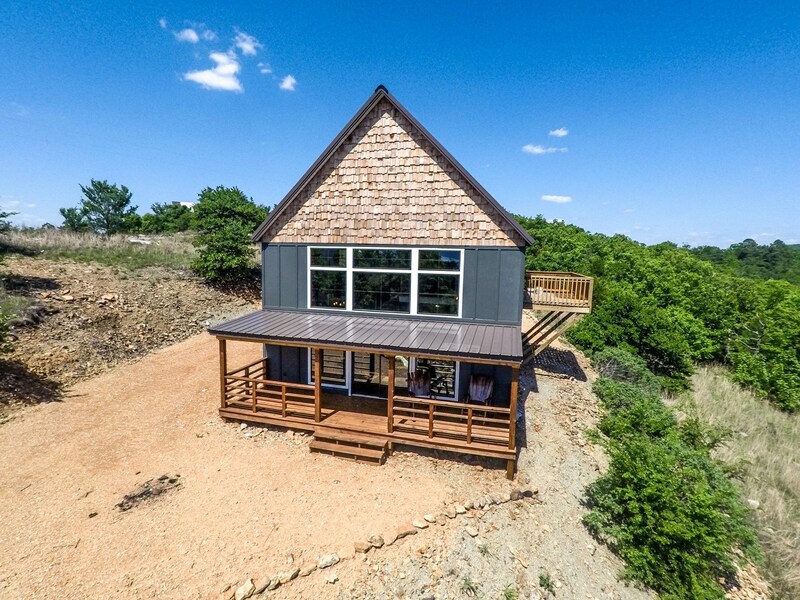 Kitchen has black custom cabinets with white farm house sink ,white subway tile back splash and laminate wood butcher block counters with bar.It has 3 bedrooms, 1st on main floor with full bath, 2nd on second floor with full bath,3rd is a loft bedroom great place for kids best view in house with telescope to look at the Oklahoma Stars. 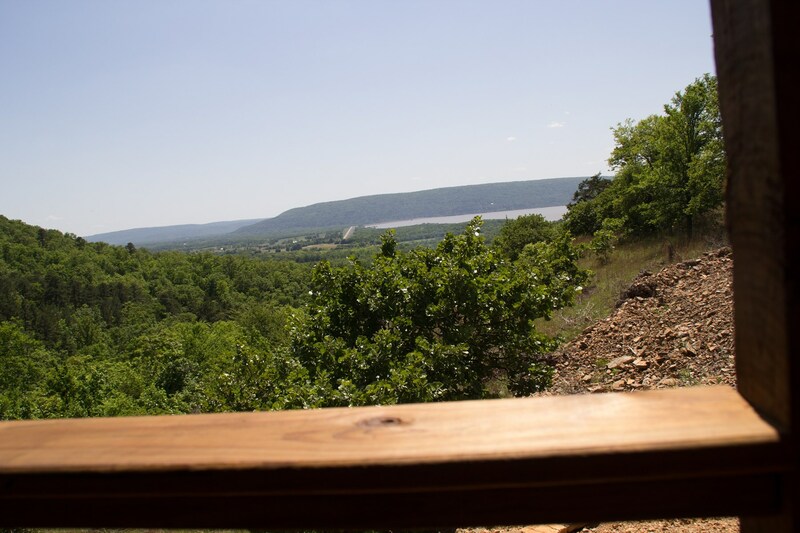 There is a balcony off the second floor overlooking the Potato Hills, Kiamichi Mountains and Lake Sardis and a covered porch out front with wood rockers also to enjoy the view's.The Cabin Home has wood floors thru out ,also has a mud room entry and laundry room downstairs with stackable washer/dryer and pantry with lots of storage.Lake Sardis has good fishing,nice swimming beach,Potato Hill Central Park with RV sites & play ground and you can enjoy all kinds of recreational water sports on lake and you are just minutes from all this. 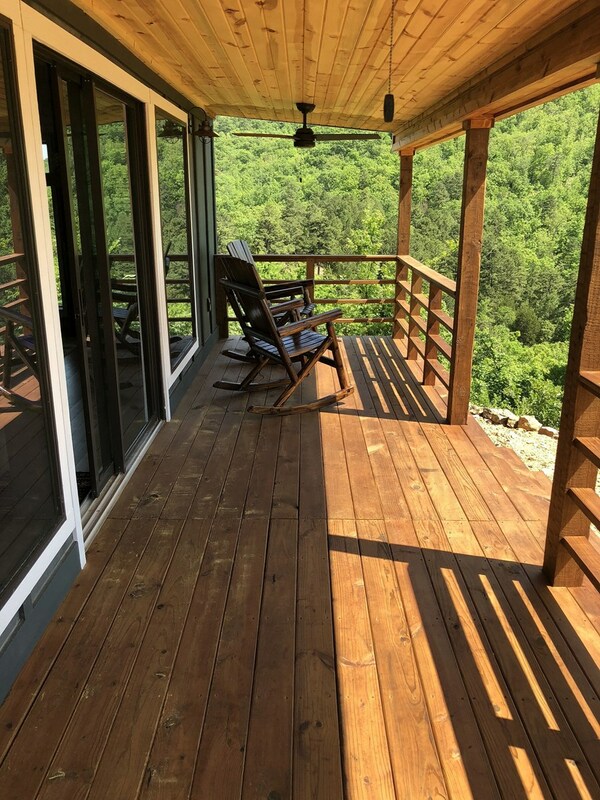 This property is total electric has rural water and arobic septic system with county maintained road running to property. 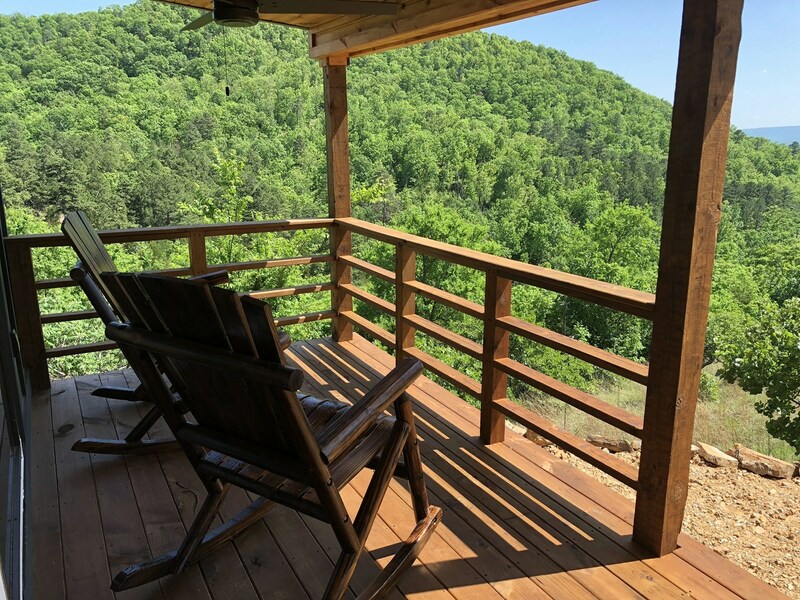 A must see Contact Agents Mark or Sherry Gee for more information and specifics of this Cabin Home & Acreage for sale in Clayton,Oklahoma in Pushmataha County and Beautiful Southeast,OK.